They are natural partners. If there is a sector in which teleworking should prevail, then it is in the area of ​​Information Technologies (IT). So, it would be very difficult, (and almost impossible) to imagine teleworking without IT (quite impossible right?) In addition to this, professionals in this sector are usually very familiar with the tools that are often used in teleworking, which is quite useful. The truth is that the implementation of teleworking options in the Information Technology sector is not only a theoretical possibility. Therefore, although data changes from one country to another, it is estimated that teleworking is even more common in the IT sector regarding the same modality in companies from other sectors. Therefore, teleworking offers a wide range of advantages, both for the company and for the worker, which makes this a great option to be considered, whenever the working conditions allow this. Lucky for us, and for the IT sector, this is possible. One of the main benefits of teleworking, without a doubt, is the possibility of a great work and life balance. This way, travelling is avoided – sometimes these travels can last hours – so travelling to the workplace can get tiring. Having a certain freedom to organize schedules and tasks, makes teleworking a very desired option for millions of workers. In addition to this, multiple studies have shown that teleworking not only offers advantages for the worker, but also for the company. For example, it’s known that teleworking has an impact on productivity; this way productivity is increased, usually between 10% and 20%. But you also need to know that, teleworking also allows for economic savings, both in the travelling costs and in different expenses, such as those related to the workspace, maintenance, etc. Do you know more advantages when it comes to teleworking? Well, it’s not all about the advantages. Teleworking also has certain drawbacks, such as the loss of contact between the teleworker, the company and the co-workers. Although, nowadays there are more means of communication, it is not easy to completely replace human contact. Therefore, today one of the best ways to work is to establish a certain number of days per month or days per week with teleworking, this is combined with other days in which the work is done in person. Thus, the effect of the advantages offered by teleworking without losing a more direct contact with the company and colleagues is achieved. When it comes to finding that kind of flexibility in the IT field, we find certain peculiarities. The work in Information Technologies tends to have a more intimate and personal component, related specially to development, and a more social one, related to the exchange of ideas and the resolution of problems. Lucky for us, professionals in the industry are usually used to using all kinds of technological tools in order to establish a closer contact regardless of distance. However, there are barriers to overcome. Finding the necessary balance to combine both types of tasks with teleworking will be a difficult thing but it will be worth it, for all the advantages of this option, for the improvements in the quality of life of the worker and for the benefits for the company. So, the advantages of teleworking are especially valued by the “millennial” generation. As we mentioned in this article (incluir link a eHorus 49) the new generations value things such as job flexibility or the balance between the personal and the professional life when choosing a job. By offering teleworking options, and IT jobs from home and especially when it comes to the IT sector, then this will be an incentive which can be quite important for those people who want to join or stay in a company. By knowing that it is a value when it comes to finding talent, many large companies in the industry have been offering teleworking options to their employees. In addition to this, we cannot forget that some of the work that is done in the Information Technology sector is carried out directly for the client via teleworking. These are services, such as remote computer support, which do not require travelling in order to be carried out. And, as we already mentioned earlier at the beginning of this article, there may be a close relationship between teleworking and the IT sector. This way creating IT jobs from home. If you work in a company in this field, or if you have a company which works with Information Technology, you can ask yourself questions like these: How could teleworking benefit my company and my employees? How could teleworking be implemented in my company? You need to remember that: a flexible way of thinking will be the key to new ideas and better solutions. If yourself or your IT Company is interested in teleworking, you should know that there are some technological tools that can help you. One of them is eHorus. Ehorus is a remote management system for computers (remote desktop software), developed by Ártica Soluciones Informáticas. If you work in the IT industry, you might already know about our company. Ártica is the company who created Pandora FMS; this is one of the most powerful monitoring software in the market. Don’t forget to leave a comment in the comment section down below! 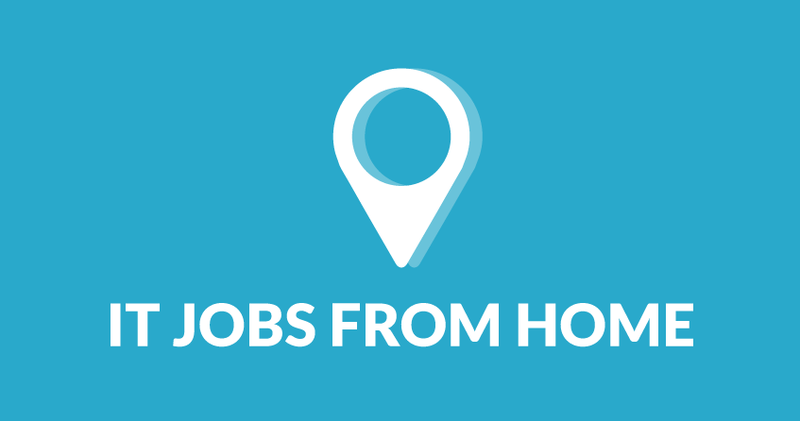 We want to hear your thoughts about IT jobs from home. Do you know more IT jobs from home? Let us know by leaving a comment down below! We look forward to hearing from you! And don’t forget to check any of our other articles on different topics; we have loads of articles related to IT. Our eHorus team will be happy to help you!